Do You Need a Software Updater, Driver Updater, Both, or Neither? Over the years, I have consistently exhorted readers to “keep your software up to date.” The efficiency of your computer system depends upon this basic maintenance chore. So does the security of your system, the information stored on it, your identity, your credit rating, your ability to rent or buy a home… well, let’s just say a lot of important things depend upon how well you keep your software up to date. An old version of any program may seem “good enough” but it is constantly getting worse in terms of vulnerability to hackers and conflicts with more recent software. So it is essential to keep your all software up to date. Unfortunately, that’s no easy task. Most important is your Windows operating system, and fortunately, that’s taken care of by Windows Update, which runs automatically. Windows Update also auto-updates Microsoft Office and other Microsoft software. But you probably have other vendors’ software that also needs updating. Some vendors provide auto-update utilities similar to Windows Update, others do not. Some up daters are notorious resource hogs or may be so buggy that they disrupt normal operation of your system. It is not uncommon for users to disable problematic up daters, leaving the software they support vulnerable to hackers and the increasingly inferior performance of obsolete software. That’s where third-party “software updater” software can come in handy. SUMo (Software Update Monitor) is one such program that was brought to my attention. Developed and supported by the French firm, KC Software’s, SUMo replaces all those one-trick software updater ponies with something akin to Windows Update. SUMo loads at startup, and consumes far fewer system resources than umpteen software up-daters. SUMo learns what programs are on your system and checks for updates of them automatically or manually. SUMo downloads and installs software updates so you don’t have to, and so that your system remains as secure as possible. You can even access DUMo, KC Sofwares’ Driver Update Monitor. (More on driver updates later.) But the free version of SUMo is effectively demo-ware; it will show you what needs updating but won’t update anything. A license to use SUMo on up to 4 machines per user, plus a 1-machine license for a second user, costs 14.99 EUR ($18.49) per year; a lifetime license costs 29.99 EUR ($36.98). Another (much more serious) problem with SUMo is that third-party crap-ware is bundled with the software updates. 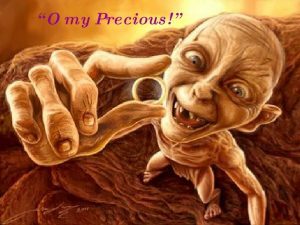 One Ring Updater to Rule Them All? That’s unacceptable! Fortunately, there are software up-daters that are free, and have the smarts to strip out those unwanted (and sometimes dangerous) extras. Let’s take a look at two I believe are best of breed. Patch My PC silently updates over 300 popular programs. I like that it downloads your updates directly from the software vendor websites, to ensure you’re getting the official version from the most up-to-date source. It takes only a few seconds for it to identify any software that needs updating. Even better, it strips the foist ware out of installation packages before installing updates; no toolbars or browser hijackings! Also nice is that programs update silently, bypassing the “install wizards.” There’s an option to create a restore point before updating, and you can also use it to quickly uninstall any unwanted programs. Patch My PC is 100% free and downloads quickly. The user interface is a bit cluttered, but just keep in mind that outdated software will show in Red, and software that’s already up to date will show in Green. You can scroll through the list of suggested updates in the left column and uncheck any items that you do not want to update. Ninite is a similar tool for software updates. It doesn’t scan your system for outdated software, but instead focuses on simplifying the process of downloading, installing and updating your programs. Ninite bundles software installers and updates into a single, foistware-free package. Just check boxes next to the programs that you want to install or update, click “Get Your Ninite” and Ninite does the rest. It fetches the latest files from the vendor websites, bundles them in a Ninite installer package, and downloads just one file to your computer. When the Ninite installer is run, it installs and/or updates everything in the background, stripping the foistware out of each. And my favorite part, it eliminates all the Next, Next, Next button clicking during the installation. Aside from the fact that Ninite does not identify software in need of updates, there’s one other issue to be aware of. The free web version of Ninite lets you easily select and install software, but there is no mechanism to keep things automatically updated. You must remember to re-run the installer that Ninite creates for you. To solve that problem, you can download the Ninite Updater ($10/year) which runs on your computer and automates the process of checking for and installing the updates. Device drivers, more commonly called “drivers,” are small programs that act as translators between your operating system and the hardware devices it uses. Every hardware device needs a driver. 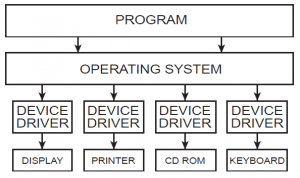 Your printer, scanner, mouse, keyboard, hard drive, graphics card and network adapter are all examples of devices that require a software driver in order to respond to commands from the operating system. For example, when you hit the Print button, Windows issues the generic command “print,” and a device driver translates that command into the specific instructions needed to enable your Dell computer communicate with your Epson printer. I’ll keep this simple — you do not need a third-party driver updater. Windows Update handles typically the task of updating drivers, pushing them out to users when hardware vendors make them available. Some devices have built-in driver update features that download from the vendor’s website. The only time I’ve ever needed to manually update a device driver is when upgrading to a new version of the Windows operating system, and some hardware device was not working properly. This entry was posted in SHOWCASE. Bookmark the permalink.